Read the Finnish version here. Mauri! 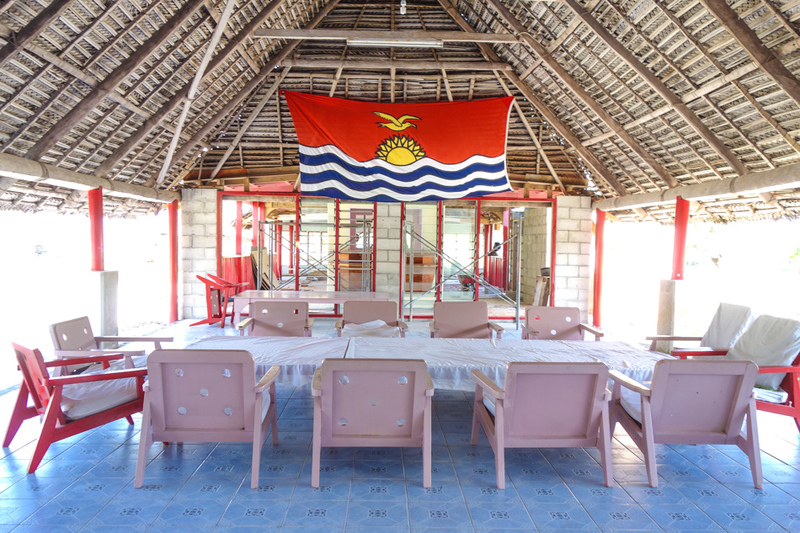 Or "hello" from Kiribati's Kiritimati in Gilbertese. Actually the name Kiribati is a modern rendition of "Gilberts", a memory from 1820, when parts of the islands were named the Gilbert Islands or îles Gilbert (in French) by Adam Johann von Krusenstern, an Baltic German admiral of the Czar after the British Captain Thomas Gilbert, who crossed the archipelago in 1788. 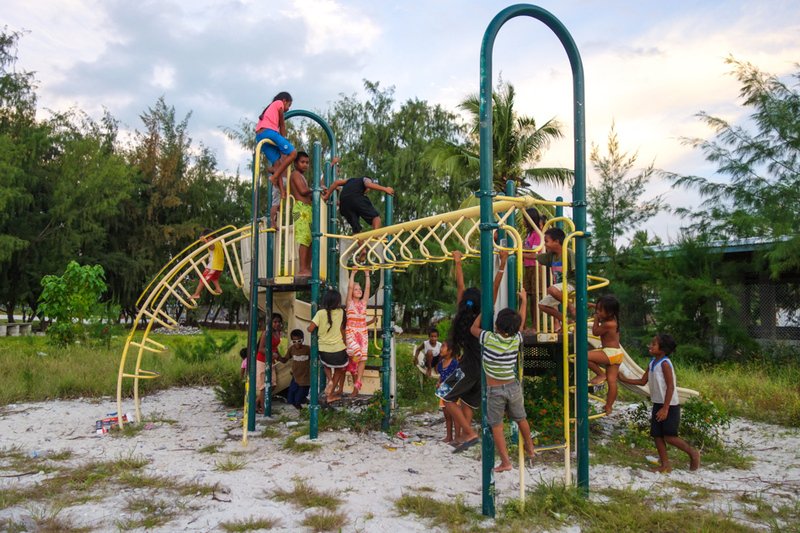 But if it wasn't for the Christian missionaries' questionable efforts to spread the word of the Lord and translate the Bible for the I-Kiribati, the country might not have a written language. 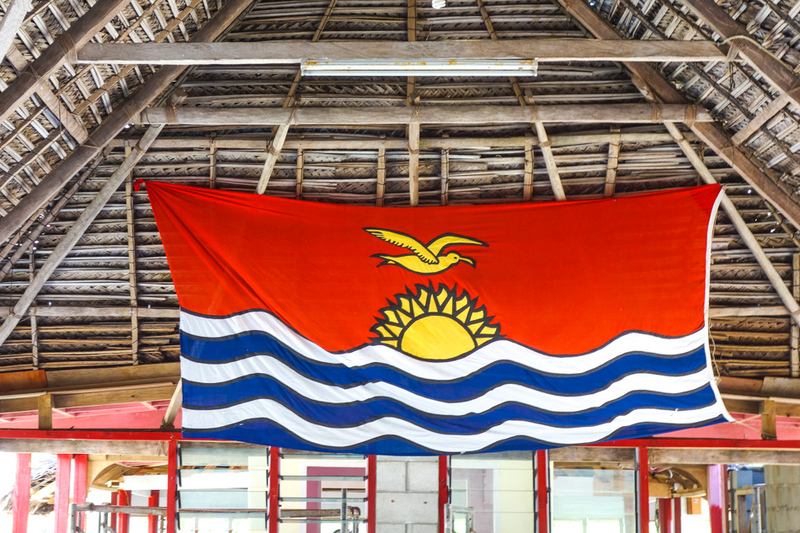 And just so you know, Kiribati is pronounced Kiribass, and Kiritimati Kirissmass. It's not just the language that makes tricks on you. 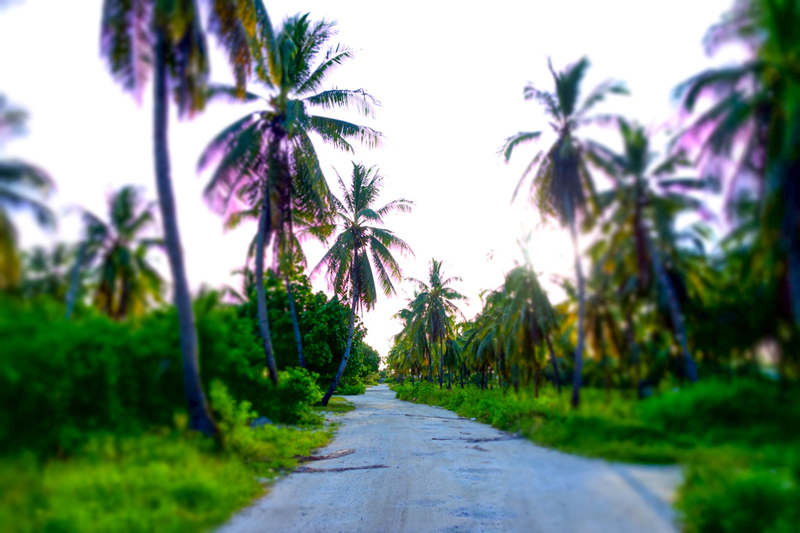 Kiribati might be a difficult country to fall in love with at first sight. I'll tell you why. 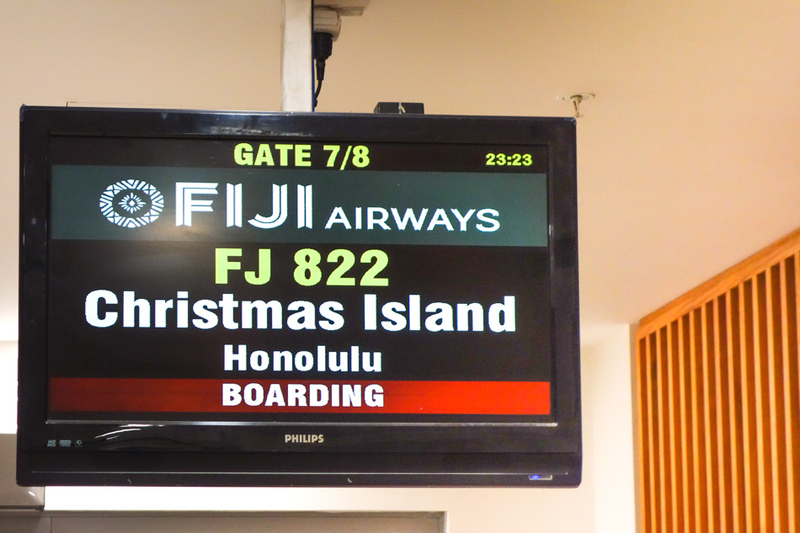 Our plane lands on Kiritimati, the Christmas Island of Kiribati on a Wednesday morning 6:40 AM. 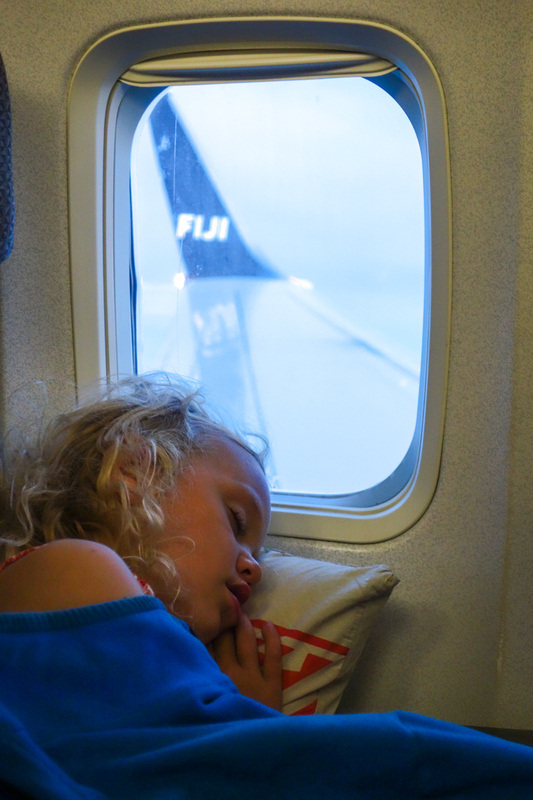 We wake our little daughter who is luckily able to get a decent sleep on a plane and fell asleep already before our plane took off from Fiji some five hours ago. Some 20 tourists get off the plane. 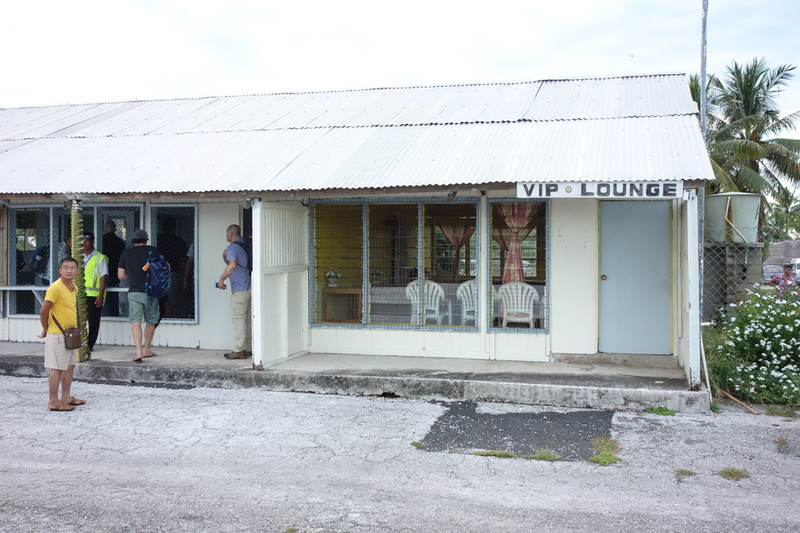 We have our first look on Cassidy International Airport where there are seats only in the VIP lounge. Slightly different airport and lounge compared to some others we've seen before. 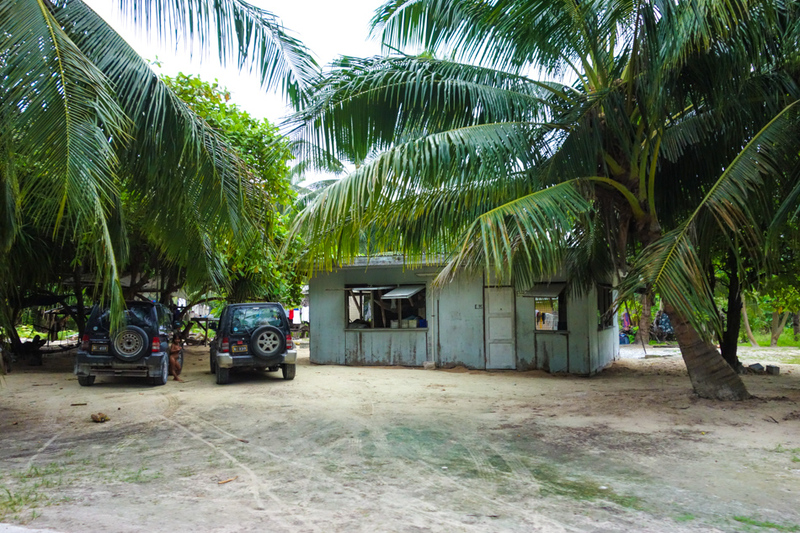 On an half an hour drive to Sunset Horizon hotel we notice that the island seems and feels poor, just as all the information we've had when googling during our research on the upcoming destination. 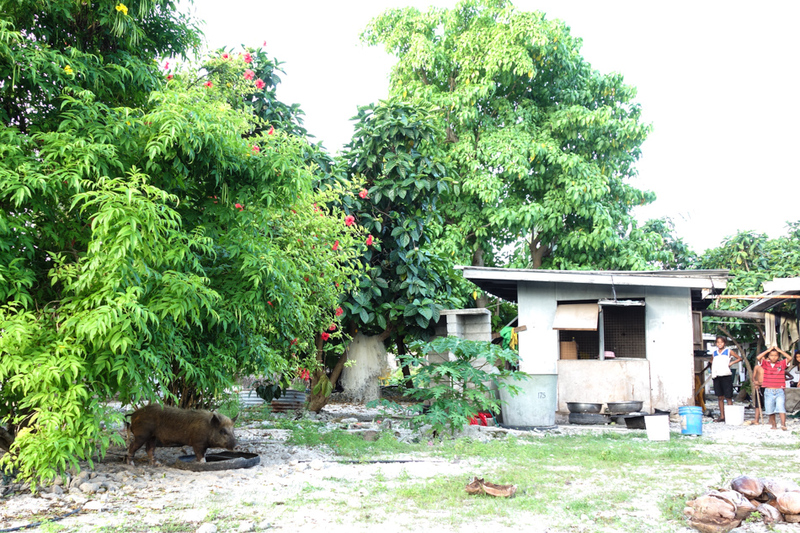 Tin shacks next to each other, bumpy roads, pigs roaming free. Everything but the cars look old. The Toyota RAV4 takes a sharp turn towards the hotel on the edge of the football field, which acts also as a main square of the London village (the other villages are among others Poland and now abandoned Paris). Big waves hit the shore on front of our hotel, some 30 large Spanish and Korean fishing vessels are anchored few hundred meters away on the ocean, waiting for the inspectors that will arrive on the only flight of the week. I'm happy that our backpacks got on the plane from Nadi. Apparently some luggage were left behind and later on we hear about a fisherman that had to take the return flight same day because his medicine was among those luggage left behind. Apparently this happens often. A week without medication is too long time to wait with a heart failure. 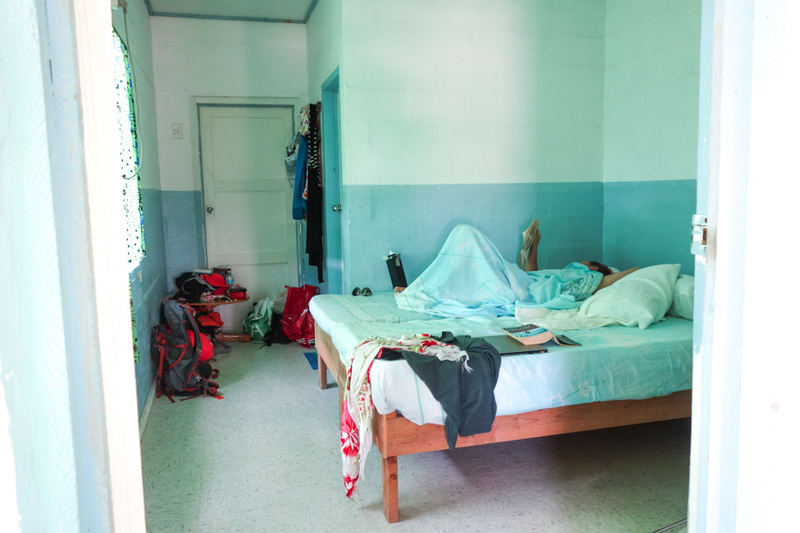 The hotel owned and maintained by the local protestant church is simple but functional. After staying up through the night flight I take a six hour nap while Miika and Bella have first breakfast and later lunch. At dinner time I've managed to pull myself out of bed and try to explain about my gluten free diet to a girl in her twenties who listens and nods to me looking serious and slightly worried. 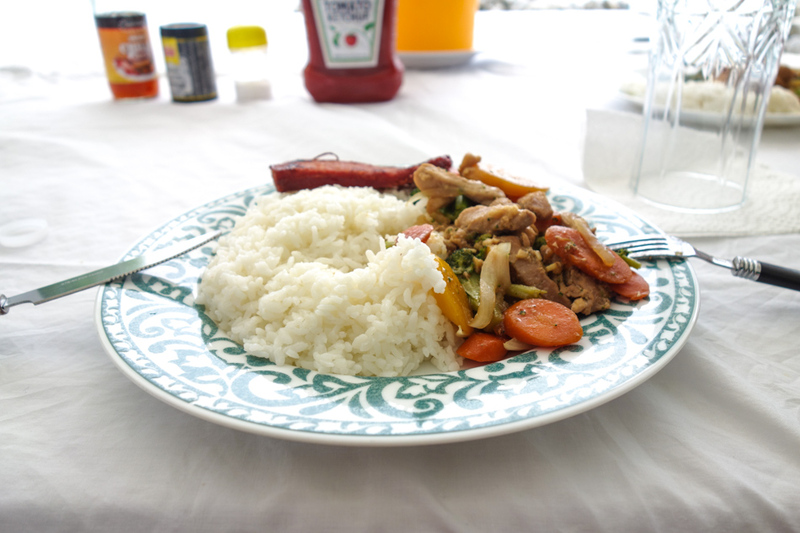 There is no menu and I'm being served the same chicken and rice with boiled canned vegetables as everyone else. Looks suitable also for a coeliac. 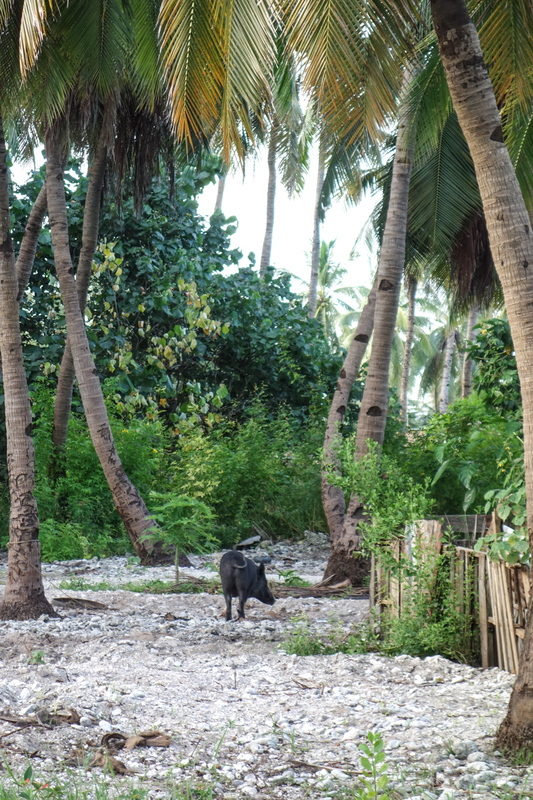 Not much of fresh in the food here however, and as we later heard, Kiribati overall suffers greatly of diabetes, and is a destination of research of the disease. 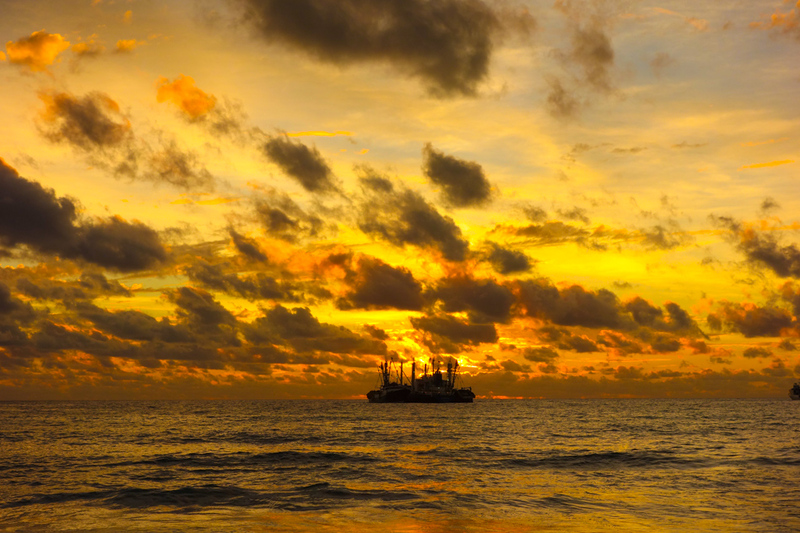 Sunset would be beautiful without the shipping vessels which sadly remind me not only of the unsustainable fishing of the oceans but also taking advantage of the poor countries. 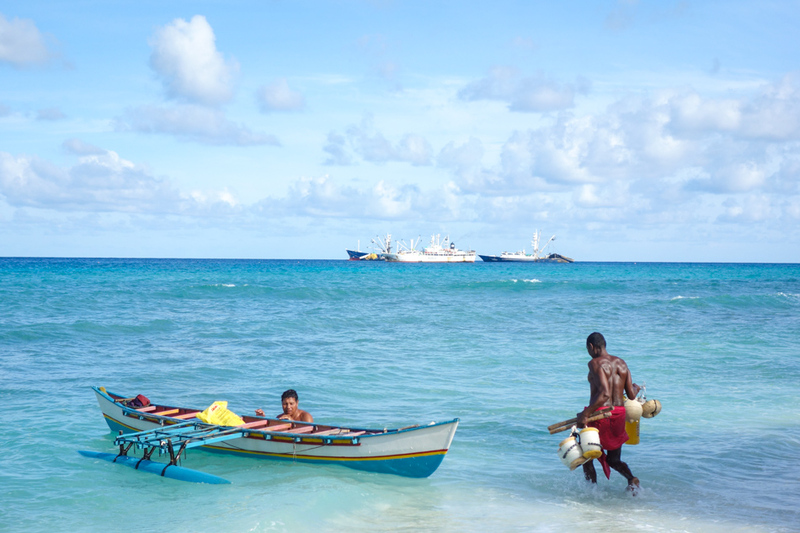 Kiribati is one of the countries selling fishing licenses to foreign fishing fleets. Later a helicopter pilot from one of those vessels tells that on a good day they can catch 300 or 400 tons of fish. And there are only 30 vessels on this distant shore. The tourist fishermen we talk to confirms that the fish are not as many and not with as large variety as it used to be, the years before when they have come to fish. Following day we get to a more sheltered beach on the other side of the cape. 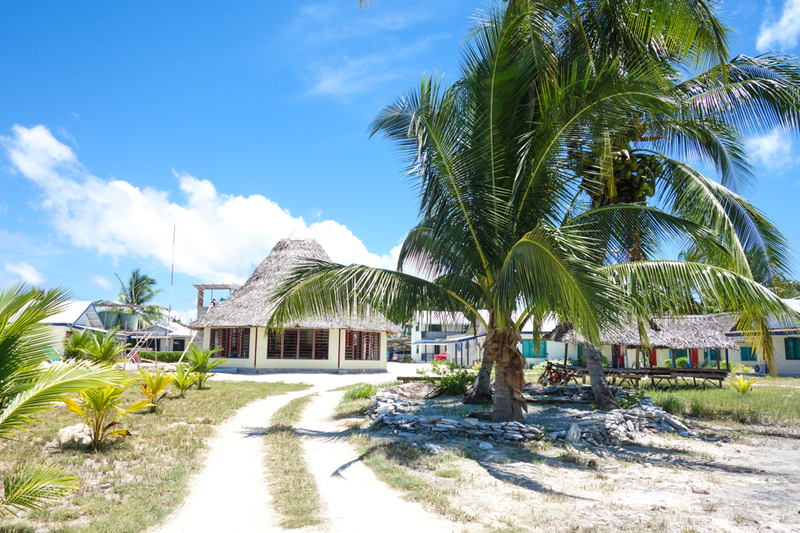 As we walk through the village the locals stare at us but only few of them respond to our cheerful Mauri! greetings. 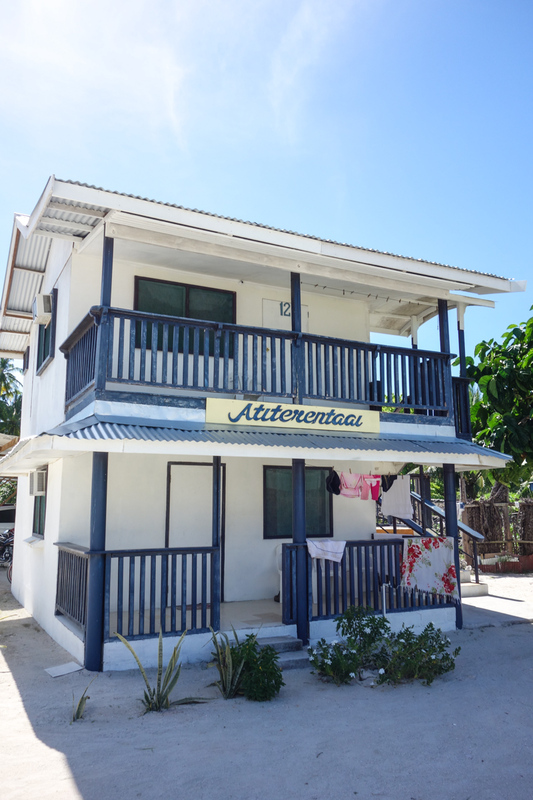 Perhaps they are not used to families as Kiritimati is mainly a fishing destination, and the feeling is a slightly unwelcome and strange for us. Hotel's employees at least smile even though the communication with them is a bit difficult. They know some English but the actual conversation is hard because of the language barrier. On our second day we ask the driver to take us to have a look at the handicraft the local women do. He takes us to the fishing lodge called The Villages Motel, which reminds more of a hotel than ours. The handicrafts are sold there. Oh yes, the fishing. It's the main reason those few tourists come here. There are four hotels (as we can confirm) on the island. Three of them are specialised in fishing, and especially fly fishing. This is the Mecca of fishermen. 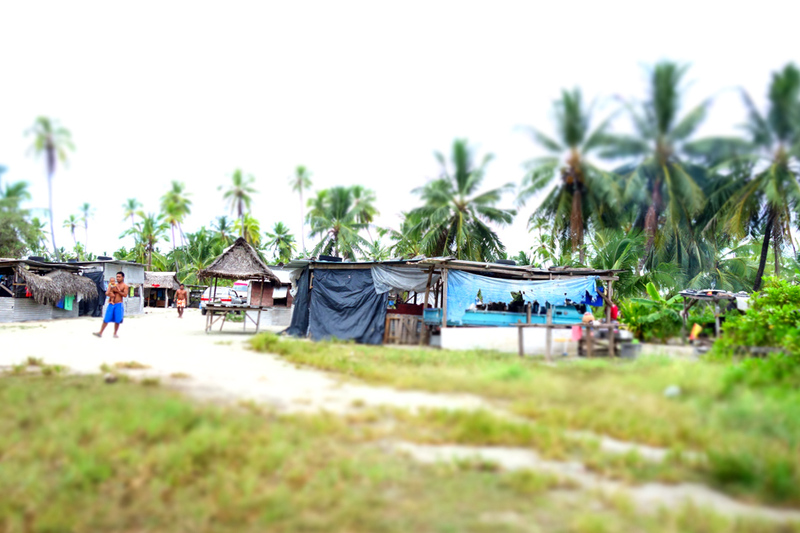 One of the fishermen living in the Village Motel is Shane, an Australian guy who has been dreaming of coming here for the last 28 years, ever since he was 16. 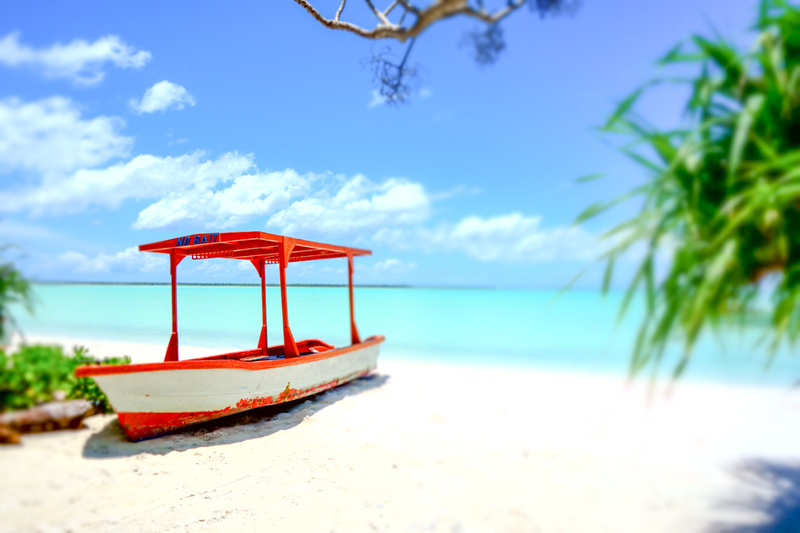 On a boat ride in the huge, shallow lagoon the odd non-fishing tourist can spot fishermen standing in the bright, turquoise water all covered up not get sunburned with their fishing guides who spot the fishes and tell where to cast the lure. Many of the hotel's guests have been here before and return every or every other year. Even Tim from London, UK who needs to travel several days to get here for his two week fishing holiday. The Villages motel is on a different level than the Sunset Horizon. 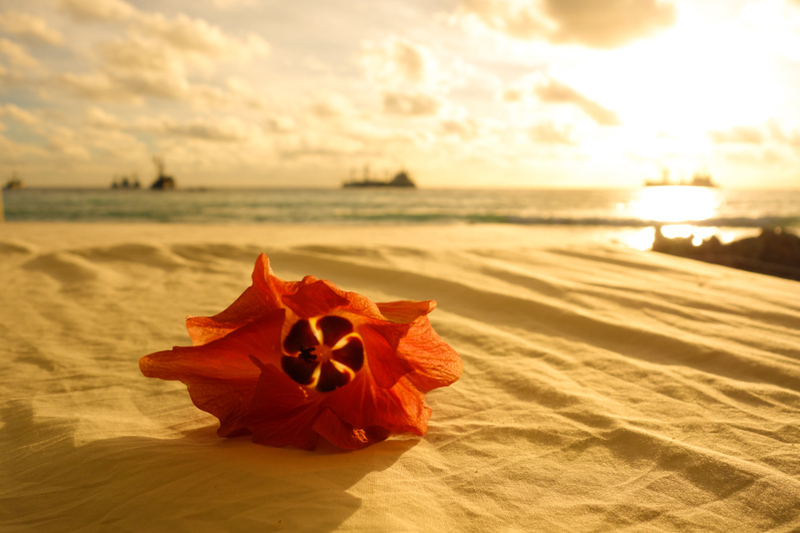 The beach is well taken care of, people are friendly and some of them speak surprisingly fluent English. Everything works a bit easier and even queries about diving or snorkeling are getting answered quite promptly. The manager of the hotel happens to be our driver's son-in-law and after negotiating prices we agree moving here tomorrow. The place where Jack Nicklaus has been fishing with his friends and family cannot be bad? "A customer is the most important person on the premises. He is not dependent on us, we are dependent on him. He is not an interruption of our work, he is the purpose of it. He is not an outsider of the business, he is a part of it. He is doing us favour by giving us an opportunity to do so. Bella is taken for a short tour around the hotel and surroundings with a young lady from the reception. Our new room is not that much different to the one we had in the previous hotel, but slightly bigger and cleaner. A little bit nicer. 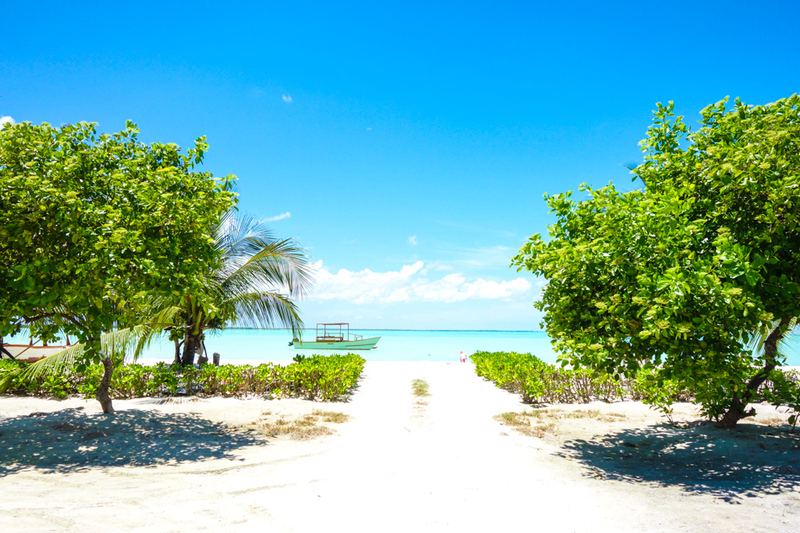 The water on the beach is calm and unbelievably turquoise, the sand is bright white. These colors are just unreal! 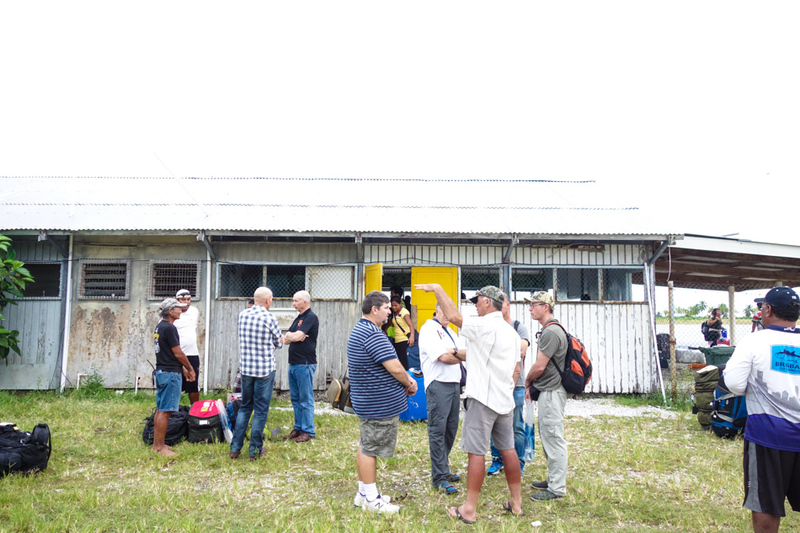 The other 15 guests return in the afternoon from their fishing trips and right away talk to us cheerfully and make us feel like we're part of them even though we know next to nothing about fishing - or perhaps just because of that? Chatter carries on until fishermen, who'll wake up again 5 AM the following morning, go to bed. There's only one fishing couple, all the other are men. Before getting to bed, Rolf, the Melbourne-based Swede brightens up first Bella's and then my day by offering us some salty liquorice, salmiakki. Yup, the scandinavian delicacy not particularly praised anywhere else in the world, but happens to be my favorite candy. It's been a while since I last had them. 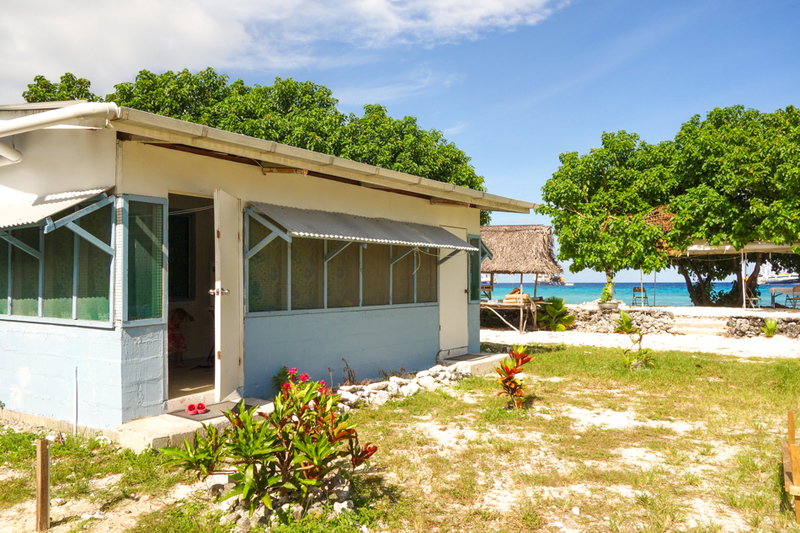 Maybe this place, Kiritimati of Kiribati, the island among the first to disappear from the world map because of climate change, is not as hopeless place like it first felt. 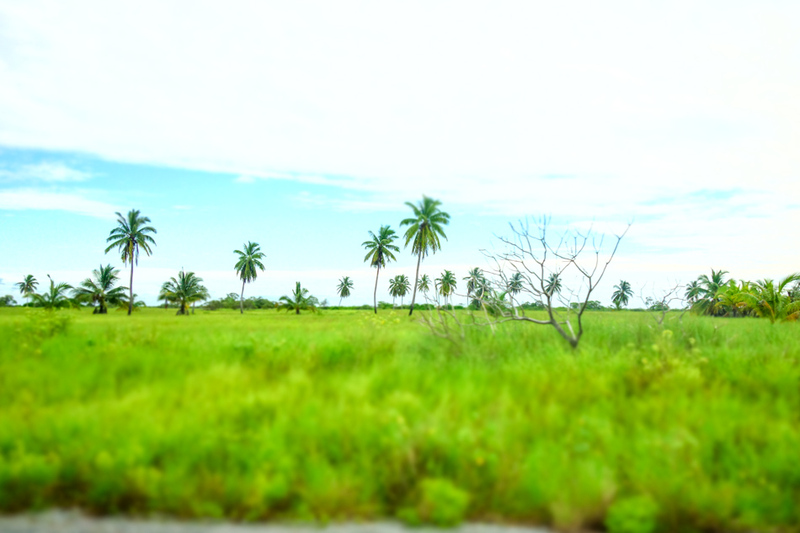 How our are stay turned out to be and what we got to experience, you'll have a chance to read just in a few days here on the blog. Stay tuned! Gosh, what photos - I can only jealously admire. 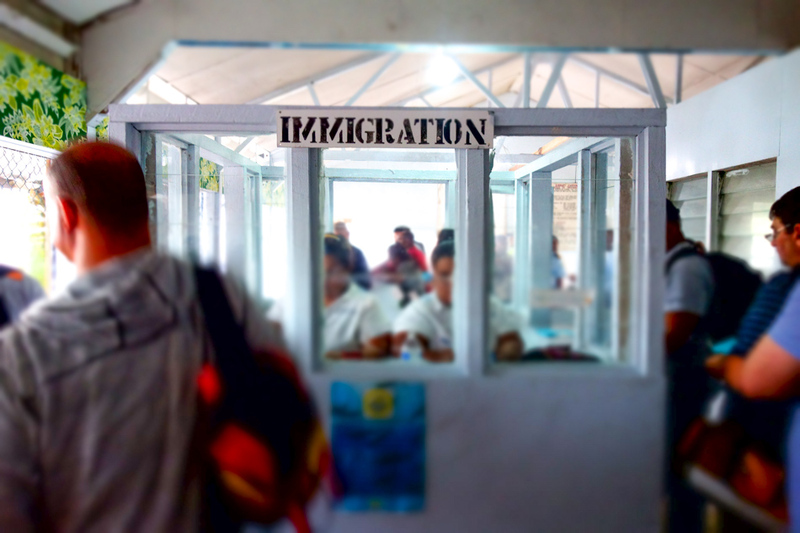 ^_^ Interesting read also, I thought that fishermen head to Ireland and Scotland for fly fishing, not Kiribati! And nope, apparently it looks like Kiribati is THE destination for a certain kind of fishing. But it's not the only one, and also fishermen likes a change, so I guess Ireland and Scotland are in that manner good. And I bet the fishes are pretty different.